Code of Practice for Domestic Laundry & Dry Cleaning Services, produced by the Textile Services Association. 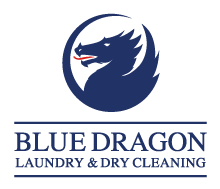 Handle all clothes, linens, furnishings and other items accepted by us for processing with proper and due care and attention. Investigate any complaint promptly and, if requested, re-process, free of charge any article which is unsatisfactory due to fault on our part. Pay fair compensation for loss or damage due to negligence on our part. Train our staff to be competent, courteous and helpful at all times. Keep our shops, vans, containers and premises clean and tidy. Maintain the highest possible standard of quality and service consistent with the price charged. Display in shop premises a list of prices for standard articles. Have all orders ready or delivered at the time stated, unless prevented by exceptional circumstances. In the event of a dispute which requires arbitration, abide by an independent report carried out by a competent, mutually recognised test house on a “loser pays” basis. The TSA Customer Adviser Service is available to help resolve any disputes which arise between members of the TSA and customers.